Skipper took this photo from the top of the World Trade Center when we visited in July 1999. Its shadows stretched all the way into Brooklyn. My mother and brother live in New York City so on September 11, 2001 when Good Morning America began reporting about the first plane hitting the towers, my kids and I sat stunned and crying as we watched the attack. I was so scared for my family. Luckily, I was able to call and talk to them before all of the phone lines went down. Our next visit was a few months after 9/11 and it was heartbreaking to see all the signs and flowers around the fenced off area that was the Trade Center. We visited a couple of years ago and went to the new One World Trade Center. It is a beautiful tribute to those who lost their lives on that horrible day. Bentley and Pierre are at the Bed & Biscuit Pet Resort until this morning. I’m sure they will have tales of woe to share but the truth is, they have a great time while they are there. They get to stay in a private room together with their beds and piped in music. We spent the weekend with our son, his wife and our cutie patootie granddaughter. She absolutely has my heart in her tiny little hands. It was a great way to spend Grandparents’ Day! It is definitely proof that life goes on even after such a tragedy. I'm sure the boys do have fun together, but there is no place like home. We are glad your relatives survived 9/11. Since it is my birthday, we always celebrate as life goes on and there is good in the world, like me! 9/11 was so scary and impacted America so much. Thank you, Emery is such sweetheart. It certainly doesn't seem like 16 years ago! I guess because everyone remembers it so well. We had a great Grandparents' Day. She is so much fun! I miss her the moment we drive away. What a great picture of NYC! We will never forget! Your little grand daughter is so cute! Thank you! We still have our tickets from going to the top of the World Trade Center. It is so hard to believe that something so horrible could happen in America. Skipper took so many photos from the Twin Towers. They are so precious now. I love the Bed & Biscuit. They take such good care of the boys. Our granddaughter makes our world spin! We won't forget no never!! Thank you so much. The boys were thrilled to see us today. We missed them but it was such fun to see the grandbaby. Powerful photo for today. Hugs. Thank you! We will be back with the news next week. It's amazing how it all comes back as if it were yesterday. I'm glad you spent time with your grand-daughter! She is truly precious. Thank you so much! She gives the best hugs. Yes, 9/11 is one of those days that we all remember exactly what we were doing when we heard the news. I hope that our nation never has to suffer through such devastation again. Sweet, sad memories. What a time that was. Ugh. And what a sweet, happy weekend memory. Nice balance! Thank you so much and thanks for visiting! It was great to have you. We will never forget that sad day in our history. And how nice you got some granddaughter time this weekend. I was working in a high school on that day and it was so hard on all of the students to grasp that we were under attack. We had a great time with the baby. All the wonderful things in life like grandchildren give us hope even when remembering such horrible times. We bet the boys are happy to be home! They really do make us know there is good and innocence in the world. OMD! The boys were so happy to be home. 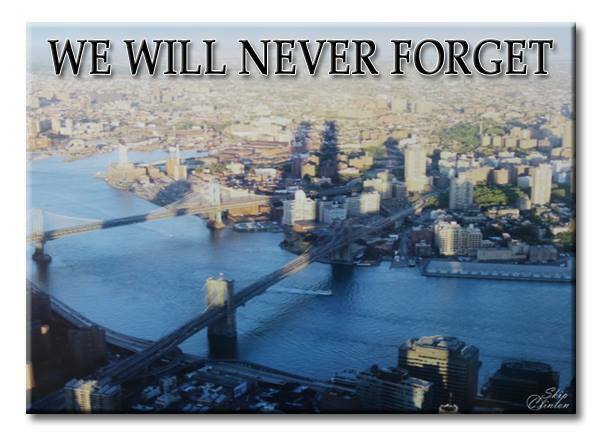 We will never forget 9/11 and how the country rallied together. 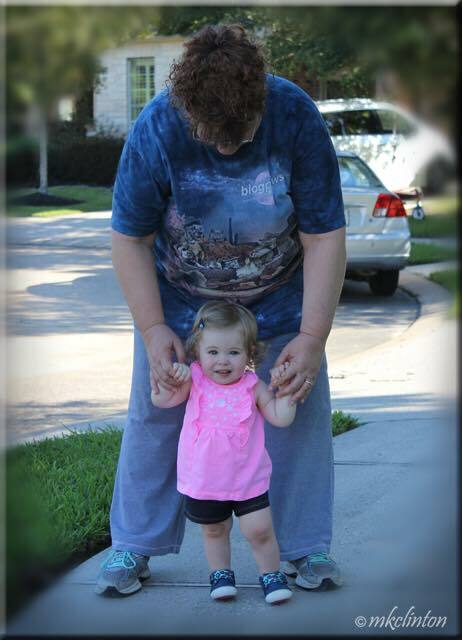 Our granddaughter is the best part of getting older. LOL! Oh she is a cutie! That is a great shot! We will always remember when terrorism hit us at home that day. That was a sad day. I am glad your family was OK. Your granddaughter is adorable.